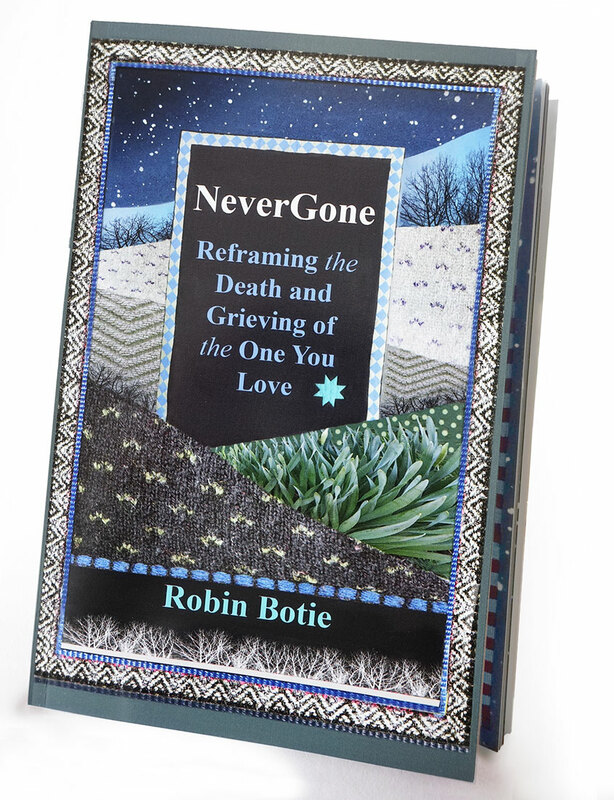 NEVERGONE ... Do you know someone who is grieving? I found myself completely captivated by Photoshopping. and birthed a tiny new book. redefining life. It examines different ways to look at death. I wanted to make a book that would hug the heartbroken. may end up being like one of those grown children who never leave home. But to transform one’s work into a freshly bound, polished package is to feel your blood turn into maple syrup. I cashed in all my hope and took the leap. It is little, 32 pages cover-to-cover, half the size of a piece of copy paper. But writing it, and producing the illustrations, opened a window to the sun from the dark basement of my grief. I poured all my time, energy, and love into it. As if it were another daughter. Available at my secure online storefront at Magcloud.